The face sheets are made of 100 percent cotton - and come soaked in essence. There's a whole bunch of different variants, and the ones I received were snail filtrate, potato, gingseng, placenta, and Syn-ake (something that mimics a type of snake venom, good for anti-ageing apparently!) - definitely a few 'exotic' ones in the mix! I found the material of the 3W masks a teeny bit thicker then the MBD masks - but otherwise they seemed to perform similarly. The sheets are generously soaked in essence, and didn't have very strong scents. For the most part they smelt like either baby powder or floral, save the ginseng mask which smelt herbal. All of the variants noticeably brightened and softened my skin after 30 minutes. I think I liked the Snail filtrate mask the best as it really brightened my skin, and my skin felt so smooth after, but really all the variants were similar to one another with regards to effect. The only thing I could think of for improvement would be the fit of the masks - I found the mouth and eye holes a little too small, and although the sheets fit okay on me overall, I thought they seemed to be manufactured for smaller face shapes (or maybe I just have a big face, haha). Other than that, no other complaints from me. These masks definitely would be great for this coming Summer - keep them in the fridge for an extra cooling effect! Thanks for reading lovelies. Do you use sheet masks, and which brands do you like? 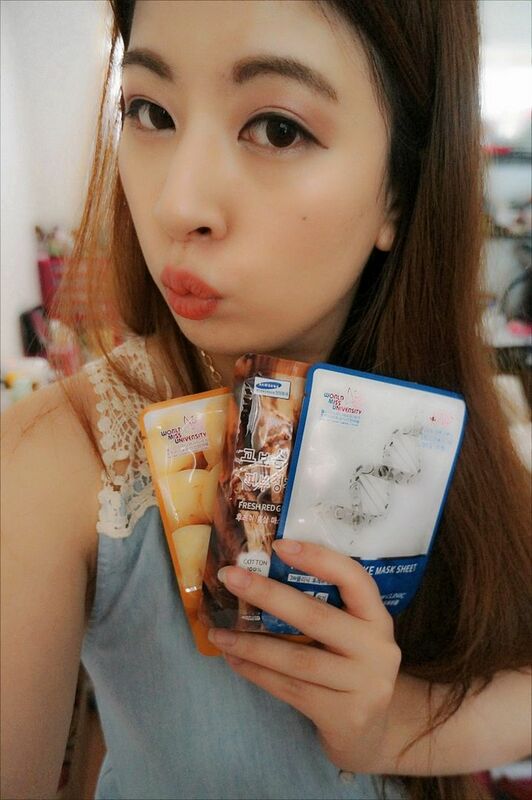 I like to use mask sheet as well ^^ but for the mask, I have never picky on brand that I'm using, lol. The masks sounds pretty good ^_^ Love how each mask have different extracts! I love using sheet masks! My favorite are also the My Beauty Diary ones. These seem pretty interesting especially the snake venom one! I used to use the MBD ones once a week, but they whitened my face too much so I use them a lot less now too, lol. I'll have to try some Skinfood masks next time!